Life is hectic. We are often over busy, internally wound-up and overextended. Just writing that last sentence stresses me out. Pastor David Henderson wrote an earlier book called Culture Shift (Baker Books, 1998) when evangelical Christians were still trying to be relevant to postmodernists. In Tranquility: Cultivating A Quiet Soul in a Busy World, Henderson addresses the angst, stress, and our prevailing sense of never-having enough time. Part one, Two Hand Fulls of Toil And Chasing After the Wind, is diagnostic. Henderson describes how our experience of time keeps us going at our frenetic pace, “Our culture breeds unceasing motion. There is always something else to do. We need, we want, we crave more time” (13). He describes our crazy-busy existence and overbooked lives and explores how industrialization has changed our idea of time and what time matters (i.e. the authority given to our workplace). And yet below the surface we deal with an inner hurricane–the experience of being always connected but never getting away, overextended and anxious and on entertainment overload. Henderson proposes a tranquility solution: “Do what God wants you to do and trust him with the rest “(54). The rest of the book unpacks his tranquility solution. Where chronos has made us obsessed with time management and productivity, kairos opens up for us to encounter God (67). This doesn’t mean that we don’t manage our time, make the most of our time, take care not to waste our time, etc. It means that we cultivate an awareness of God and his priorities within our time. Part two, One Handful With Tranquility, divides into three subsections. In chapters six through ten, the section ‘While there is time,’ Henderson helps us to cultivate mindfulness: to where God is at work in time, to the trajectory of all time in God, our own mortality, and how to keep God our focal point. In the next subsection, ‘Making the Most of Time,’ Henderson points us to invest ourselves and time in things that matter. We live in the time between Christ’s comings and therefore ought to live in light of eternity and invest ourselves in Kingdom mission now. Secondly we ought to use our time to invest in relationships (which are inherently inefficient), especially in cultivating our prayer life with God. In the final subsection, “Trusting God with the Rest” describes the rhythms of rest and activity which ought to mark our lives. This includes times for silence and solitude, Sabbath, and daily rest. This is a really good book. Henderson doesn’t talk about ‘communicating to the postmodern mindset’ as he did in Culture Shift, he practices the principles he laid out there. He describes our culture, and recaptures it with the biblical story and offers hope through the gospel of Jesus Christ. He focuses on the experience of busyiness and proclaims a gospel of tranquility and mindfulness (two words borrowed directly from Buddhism and New Age Spiritualism but here loaded with Christian content). I appreciated his full-orbed description of time. He isn’t content to simply say stop being crazy busy. He acknowledges there are good reasons to be un-rested and over busy (new baby with sleepless nights, a personal crisis, caring for someone in need, etc) but he points us away from needlessly stuffing our schedule with activity for activity’s sake. Instead he helps us to consider God’s purposes for our time and for us in time. T I give this four stars. Note I received this book from Baker Books in exchange for my honest review. Recently I was in a gathering of Evangelical pastors. The man sitting next to me made some comment about ‘homosexuality’ in our culture and asserted that he ‘didn’t consider homophobia a bad thing.’ I made no response. The comment stunned me. I understood what he meant. These days any sort of traditional, religious stance is labeled as homophobic by our increasingly affirming culture. He was asserting his right to have conviction and to stand up for the clear teaching of scripture. But ‘homophobia’? Really? Is this really how we want to approach the LGBT community? Doesn’t perfect love cast out phobias? 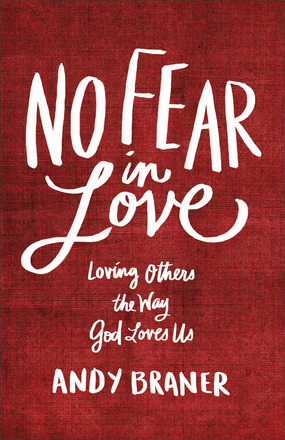 In No Fear in Love, Braner exhorts us to share the good news of the gospel in ways that listen, respect, and love. Compassion not motivated by phobias. As Braner says, “It’s fear inside that tells us, I don’t want to allow anyone to think differently than I do because that may mean I need to change the way I think, or, If I validate some point they have that is contrary to my own worldview, I might have to rethink my position.” (19). This hunker-down fearful apologetic causes us to speak louder and prevents us from listening to others and responding with compassion. Braner wants us to face up to our fears, hold on to our convictions, but to approach dialogue with non-Christians from a different space. Reflecting on John 10:10 (The thief comes to steal, kill and destroy; I have come that you may have life and have it to the full) Braner asks, “Why do we always focus on the theif instead of taking ample time to focus on the full life? What if we started to see the world through a lens of abundance rather than remaining paralyzed by the things we’re most afraid of? What would it look like?” (43). 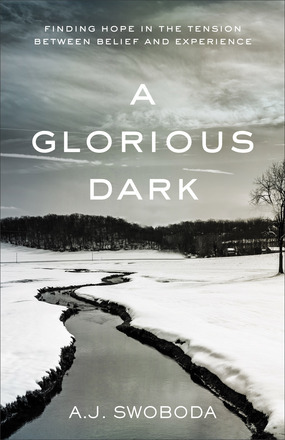 And so this book shares Braner’s journey from worldview warrior to someone who has sought to reach out to people different from him by seeking to embody the love of Jesus. The three parts of the book. The first section looks at fear: where Braner has experienced fear and his journey from fear to triumph. Part two examines where Braner has been able to minister beyond fear when his worldview clashed with others. There is a chapter about his learned hospitality to Mormons and Jehovah’s Witnesses and several chapters on his friendships with Muslims. Part three articulates ‘beyond fear’ responses to issues that often paralyze our Christian witness, issues like abortion, homosexuality and immigration. I really appreciated the tone and the storybook feel that Braner has. Despite talking about the move from fear to love, Braner has a sense of adventure and the conversations he finds himself in and the relationships he forges, are beyond what most of us can relate to. Braner tours a Mosque in the middle east and even joins a Muslim for prayer there. His love and respectful tone strike a different note than the arrogance his interlocutors were used to, but I can’t imagine many of us finding ourselves in similar circumstances. I think I would have be served by a few more mundane examples of Christian witness. Still I liked that Braner tackled hot button issues like Christian-Muslim relations, sensitivity to women considering abortion, gracious witness to the LGBT community and a thoughtful look at immigration. I like what this book signifies and happily recommend it. I give it four stars. Frank Viola enlisted the help of Mary Demuth for his follow up to God’s Favorite Place on Earth. The earlier book focused on the city of Bethany, a place where Jesus was accepted and loved and where Mary, Martha and Lazarus lived. That book told stories from Jesus’ life, narrated by Lazarus. In Viola’s follow up, he wanted to present some of the significant interactions Jesus had with women he encountered but didn’t feel, as a man, he should write the narrative sections from their perspective. So he enlisted DeMuth to bring these women to life. 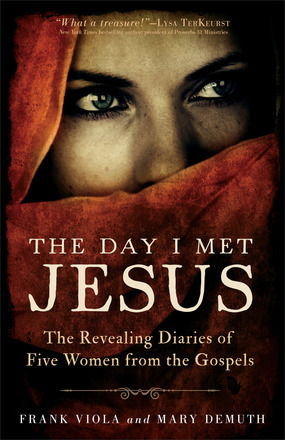 The Day I met Jesus profiles five women: the woman caught in adultery, the prostitute who washed Jesus’ feet, the woman at the well, the hemorrhaging woman and Mary of Bethany (a story in three acts). The first three of these women struggled in the area of sexuality, the hemorrhaging woman struggled with a physical problem. 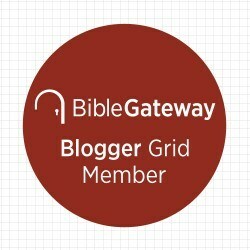 Mary of Bethany is exemplary in her devotion to Jesus. All of them are transformed by their encounter with Christ. These women give us a window into the power of God to set us free and fill us with Joy. Demuth’s narrative sections are the heart of the book and she does a really good job of telling these stories. I didn’t necessarily envision each story as she did, but in storytelling you make your exegetical choice and commit. I think she gave these women life and made their choices understandable. Demuth did a fantastic job. 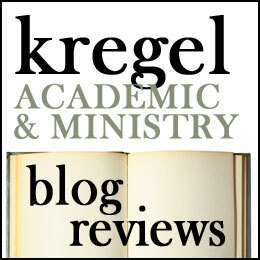 Following the narrative sections were a section that explored the meaning of the biblical passage, offering some exegetical insights and some practical takeaways. I think generally this was the work of VIola but there are some creative elements here too. These are also interesting but I was less enamored with them. To me, I wish the book did one or the other. If story is powerful and evocative then tell the story. If you need to explain the significance of the story you just told, then you don’t really trust the power of story. This might be my own hobbyhorse, and I will happily admit as much. A number of readers do appreciate the mix of fictional and non-fictional elements that Demoth and Viola bring. But for my money, I want the narrative told without an editorial essay on the ‘moral of the story.’ I think Viola said some great things in his commentary sections, I just wished those were more thoroughly encapsulated in the stories they shared. Story is show and not tell. This book was more than half tell. I give it three stars.